The EtherTek USB GPS Monitor is a device that receives GPS satellite data through an external active antenna and makes it available over a USB connection to your computer or USB enabled remote monitoring system. 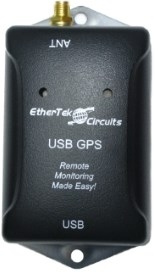 The EtherTek USB GPS Monitor was designed for use with any computer or remote monitoring system that needs a GPS receiver that is not limited by the USB cable length of 5 meters (approximately 16 feet). 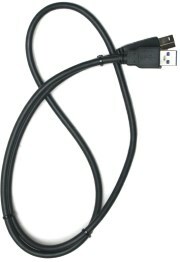 The EtherTek USB GPS Monitor overcomes the USB cable limitation by providing an external antenna connector. Using an external active antenna increases the distance from your computer or remote monitoring board by an additional 250 feet. Cable lengths longer than 250 feet can be achieved with a GPS pre amplifier. 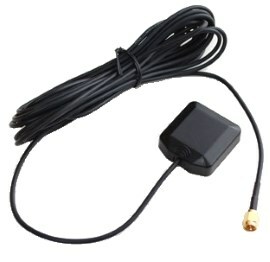 An external outdoor magnetic antenna with 5 meters (approximately 16 feet) of cable is included. View the Setup page for operating instructions.